Refugee Republic is production by Submarine Channel and De Volkskrant. Camp Domiz is a Syrian refugee camp in northern Iraq. Around 64 thousand predominantly Kurdish-Syrian refugees have sought shelter here. 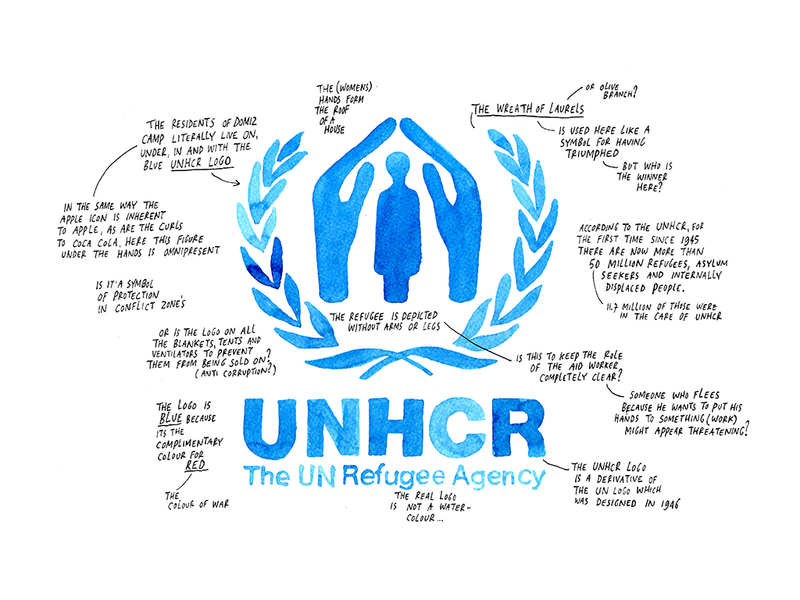 As the number of refugees grew, the camp gradually transformed from a temporary refuge to a makeshift town, where people live and work, go to school, start a business, get married, argue and have fun. Visual artist Jan Rothuizen, journalist Martijn van Tol, and photographer Dirk Jan Visser explored Camp Domiz from A to Z. They bring to life its inhabitants and places in a multidimensional mix of sound, drawings, photo and film. 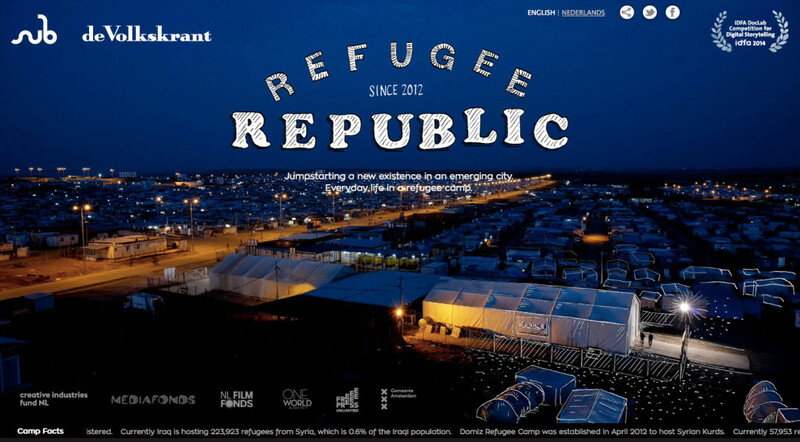 Refugee Republic won the Dutch Design Award 2015. Read more about Camp Domiz in Olivier Kugler’s story in our first Special.